I am in dire need of a rant. So I come back to the NTCF blog once again to explode. Who started this whole idea that the Boston Red Sox have to trade Jacoby Ellsbury? Over the past two weeks I have heard both radio stations (WEEI and 98.5) talk about the need for the Red Sox to trade one of the cornerstones of the organization. Tony Mazz who I really enjoy and respect as one of the best baseball men in the business has started this insane thought and somehow the snowball has rolled down a mountain gathering momentum into an avalanche of epic proportions. 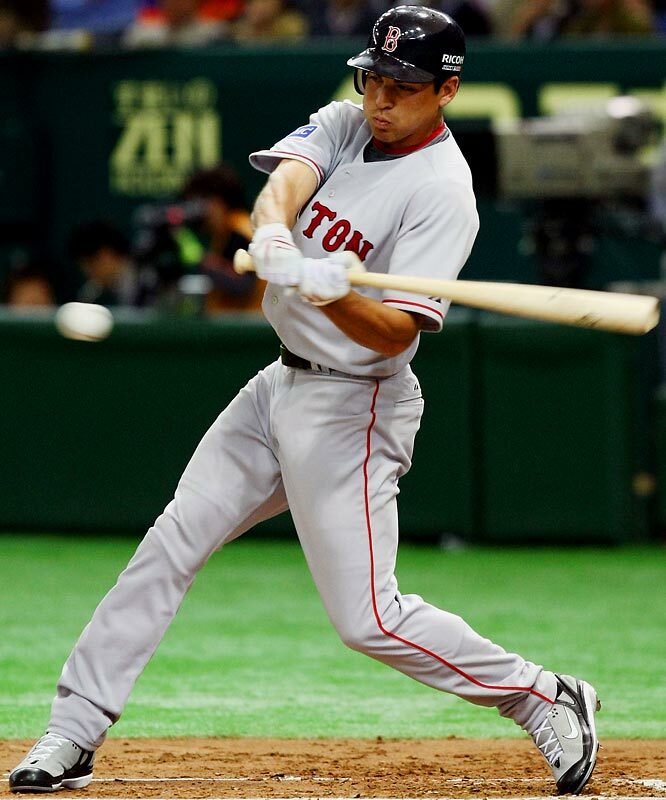 The fear is that Ellsbury will walk at the end of this contract which expires after the 2013 season. The fear is that he will demand a contract in the neighborhood of 7 years for $200 million. The fear is that Scott Boras is his agent. I will tackle these points one at a time. Even if Jacoby walks after 2013, why not let him play out his current contract and reap the benefits of having an MVP caliber player on your team? As a reminder, Ellsbury put up video game numbers last season. He hit .321 with 32 home runs, 105 RBI, and 52 stolen bases. Oh, and he also won the Gold Glove award. Why give any of that up? Are the Boston Red Sox worried about shelling amount ridiculous money for someone? Spare me. The Red Sox make money hand over fist. It is as if they have their own money tree. Ellsbury contributes to that revenue! All the pink hats love Jacoby. Ladies love Jacoby for than they love Cool J. Ellsbury sells more pink hats and shirts than anyone on that roster. The least they could do is reward him for that from a business standpoint! Scott Boras is a tough agent to deal with. But haven’t a fair number of his clients ended up signing with Boston anyway? (See Drew, JD, Varitek, Jason, Matsuzaka, Daisuke). Boras was even behind getting Alex Rodriguez to Boston back in 2004. He even fought the Players Union to keep A-Rod in Boston. My point being that the Red Sox have dealt with Boras in the past. There is no reason to shy away from a super star player and money maker because of his agent. People give Ellsbury a bad rap because of his injury history. Heck, I was once of them. But both of his injuries were actual injuries. He collided with Adrian Beltre in 2010, breaking a few ribs. Let me rephrase that. He collided with a high speed Amtrak train and only broke a few ribs. In 2012, 6’3 190 pound Reid Brignac landed on Ellsbury’s shoulder as he went in hard to break up a double play. 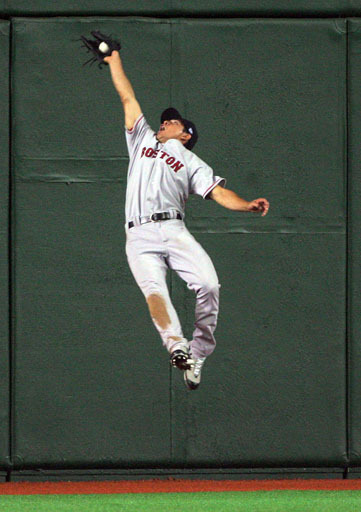 Ellsbury ended up separating his shoulder and missed 3 months of the 2012 season. In the three seasons Ellsbury played where there weren’t any types of collisions, he played 145, 153, and 158 games. When he is not on the diamond, it is not reminiscent of JD Drew. He doesn’t sit out games because he has a tight hammy, a stiff back, or because he has cramps and the Midol isn’t helping. It would make zero sense for the Red Sox to trade or let go of Jacoby Ellsbury. There is no player in baseball history that has his skill set. Yes, I think he is better than Rickey Henderson. He plays Gold Glove defense, runs like Usain Bolt, hits north of .300, and can hit 30 dingers. It shouldn’t even come up as a suggestion to trade Jacoby. It shouldn’t even be a funny joke. If you want to move Jacoby Ellsbury out of Boston, go get your head examined. This is the best article I’ve read in a while about Ellsbury!! Finally, someone is thinking before writing! !